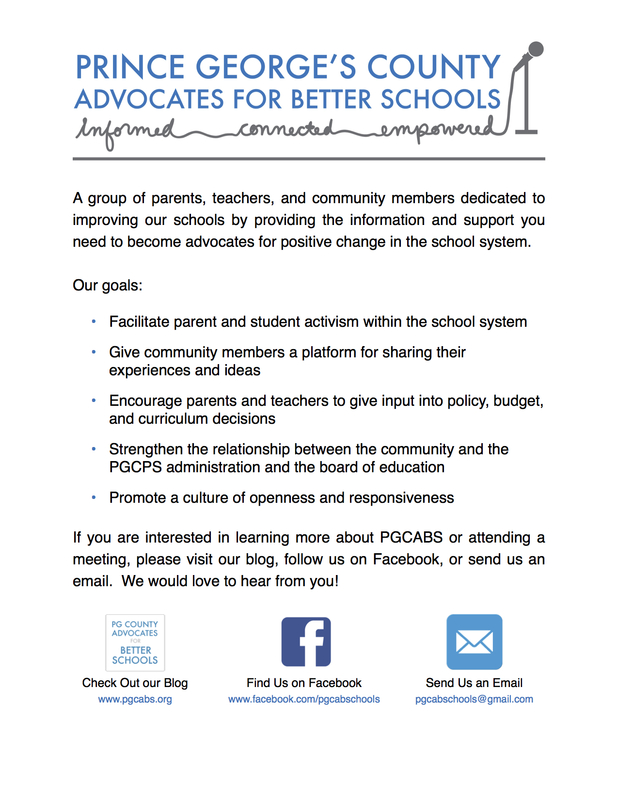 Help us get the word out about PGCABS! Download the pdf of our new flyer to hand out or post. And thanks for your continued interest and support!